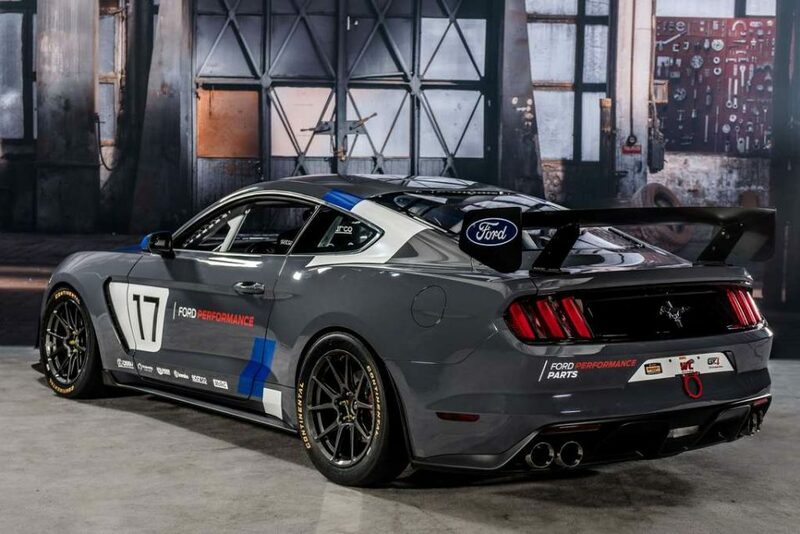 Ford has broken covers off the GT4-spec version of the popular Mustang pony car. The versatile race car has been built to make entry into GT4 regulations complying competition racing series around the world. Greeted show goers and media personnel at the ongoing SEMA show, the Mustang GT4 is accompanied by a new data logging application. The track-focused machine is derived purely from the Shelby GT350R-C which is a well-reputed choice for customer racing in the US. What can be found under the bonnet of the Mustang GT4 is a 5-2-litre V8 motor connected to a six-speed Holinger flappy paddle gearbox. To adhere with different race conditions prevailing across the globe, the Mustang racer comes equipped with chassis mods built by Multimatic Motorsports, comprising of lower rear control arms, stabilising bars and dampers. The aero kit features bonnet vents for extra engine cooling, new rear diffuser for added downforce, sharper rear wing and bigger front splitter for directing air flow underneath the race car. The race-spec slick tyres are shod on Foreline wheels measuring 8x11in. 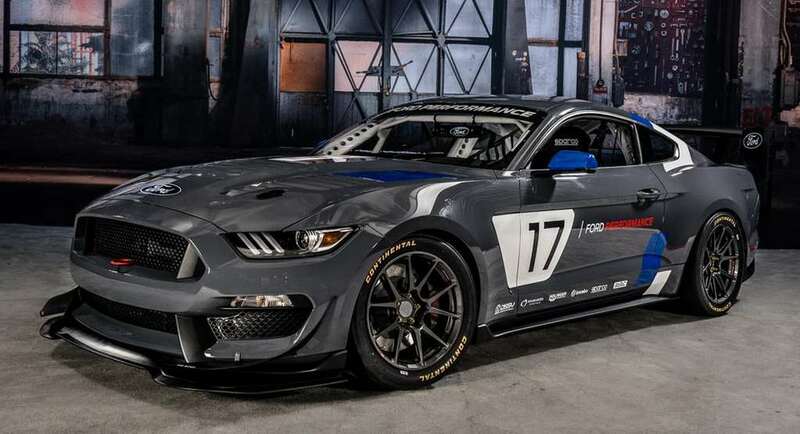 As the new generation Mustang is a truly global sportscar, the motorsport division of Ford looks to leverage the craze with increased fan following through GT4 competition. 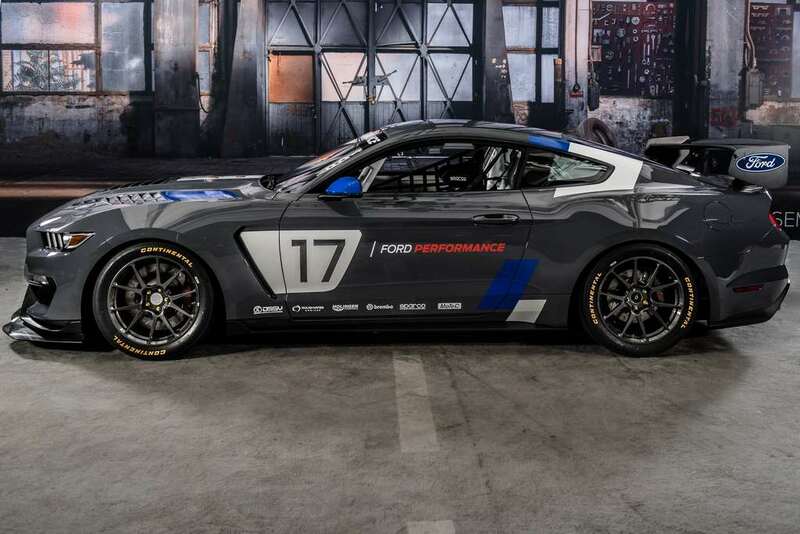 Alongside the GT4 Mustang, Ford introduced an all-new data logging application which enables users to record their performance on track using smartphones. Developed by Ford Performance, the race app uses the latest SYNC3 infotainment system to record, capture videos, evaluate and share the owners’ track capabilities right from the phone. Ford has planned to launch this app in popular platforms like Android and IOS next year. The app can track session wherever they are employed and make track driving an enjoyable experience as the driving footages can be shared with friends.